Ajeeb Ghar/ əʤi:bghər/ the noun. A 19th century museum in South Asia, modeled after the original in Lahore. A collection that evokes wonder and awe in the viewer. A cabinet of curiosities and strange objects from around the world. Strange House, Wonder House, Magic House, Curiosity Cabinet. Etymology: ajeeb <Urdu. ajeeb < strange, unfamiliar, wondrous + ghar < Sanskrit. ghar < home, residence, location. Synonyms: Ajaib ghar, Ajeeb khana, Jadu ghar. Ajeeb Ghar/Wonder House/ the website. 5. a digital adda — a space for chai and reflection — at the intersections of museum practice, archival advocacy, heritage policy and social change. Taking inspiration from old-fashioned Ajeeb Ghars and Wonder-Houses of South Asia (whose precursors were Renaissance-era curiosity cabinets), the site gathers resources around all four of a museum’s functions: collections, interpretation, display, returns/repatriation. Ajeeb Ghar/Wonder House will also offer a space to imagine museum and archival futures: probabilities, possibilities, and in the language of Wonderland, even some impossibilities. Here are six of them (as the White Queen would say, before breakfast! ): A meta-museum dedicated to the decolonization of archives. A virtual ajeebghar devoted to the afterlife of objects, artworks and artefacts. A retreat and forum for dissent. A space where collections engage with communities and cultures, material and virtual. And with heritage, tangible and intangible. Where the definition of Ajeeb Ghar, the quintessential South Asian museum, is stretched for our digital age and turned upside down and inside out. And where was the original Ajeeb Ghar? First introduced to English-speaking readers of literary fiction through Rudyard Kipling’s Kim, the term Ajeeb Ghar continues to be used to refer to all museums in South Asia. The literal translation from the Urdu (ajeeb = strange) is Strange House or Wonder House. But both strange and wonder can have multiple meanings in the museum world. The original and eponymous Ajeeb Ghar was the fabulous Lahore museum with which Kim opens and where Lockwood Kipling (Rudyard’s father) was curator. In Kim and other historical or literary accounts, Ajeeb Ghar was a magical place where 18th and 19th century viewers encountered ‘objects of curiosity’ — marvelous, unique, astonishing things from around the world and across oceans, from royal palaces to everyday lives. And a place where these encounters, more often than not, led to that feeling of awe, reverence, or stop-dead-in-your-tracks that early museum collectors called Wonder. 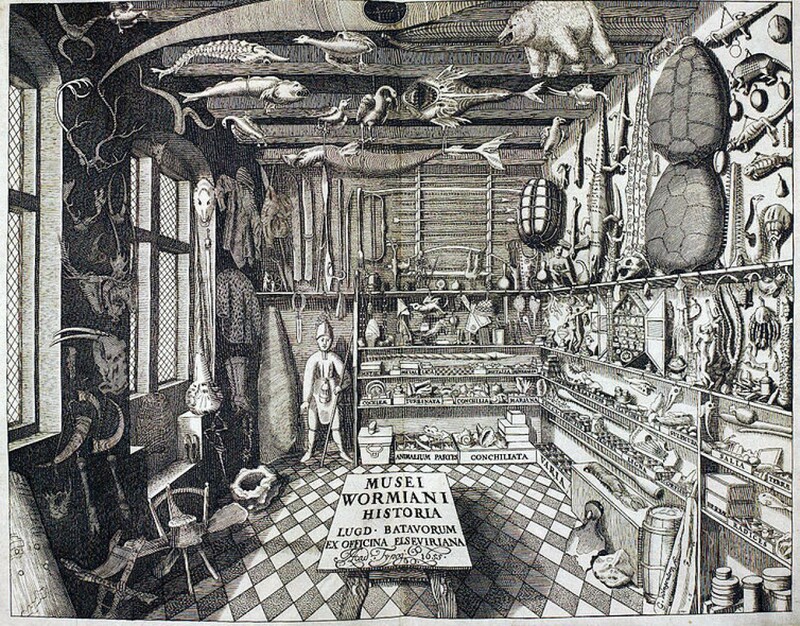 A cabinet of curiosities, or wunderkammer – which is an encyclopedic collection or archive of strange objects and wonder-filled artifacts (natural, man-made, and artificial) put together to reflect a Renaissance-era microcosm, a theater of the world that mixes art and science, nature and culture, the marvelous and the odd, the foreign and the familiar. A lens, a sensibility, a mode of engagement, a way of seeing into that world of museum objects, exhibitions, and festivals through wonder, curiosity, and what Charles Wilson Peale famously called “rational amusement”: a form of enchanted looking in museums that connects science, art and ethnography with imagination, whimsy and delight. A place in the past, as well as a place of and for the past, as in a repository of the old-fashioned, the lost, the missing, the hidden, the invisible, the disappearing, the endangered, the handmade, the diverse, the forgotten, the ephemeral, the intangible, in the homogenizing race towards cultural globalization. A hope, dream, prayer for museological and archival futures. Contemporary museums around the world have never been more focused on safeguarding culture, and the afterlife of material culture, whether through ‘documentation’ – preserving, saving, restoring, archiving our museum pasts and our intangible heritage to imagine better imagine futures; or through ‘giving back’ – the repatriation or redistribution of cultural property between colonial era pasts and the present, from the West to the Rest, from heritage-rich museums and archives to their source communities and the have-nots. In this 21st century virtual avatar, Ajeeb Ghar/Wonder House will address all these elements, separately or together. Positioned somewhere between the idea of museum as temple and museum as forum, between heritage as noun and heritage as action verb, between the museological notions of wonder and resonance, Ajeeb Ghar will deal with ‘strange’ museum objects and ‘different’ cultural subjects in art, science and ethnographic museums; with curation and display in colonial archives and heritage collections; with festivals, stories, storytellers, art, artisans and craft; with museum frictions and cultural heritage disputes; with stories of repatriation and restitution and ‘giving back’ to source communities; and how all of them often tumble, pell mell, as they fall down the rabbit hole and through the looking glass in their search for wonder, curiosity, beauty, context, belonging, cultural identity, political engagement, moral meaning, and better material futures.